My friend sent me a care package this week, including a few new books to read. I finished The Gift of a Charm by Melissa Hill earlier this week. The book is a fun read about a woman who finds a charm bracelet and traces the charms to try to find its owner. It jumps from different characters who don’t seem to have much to do with each other until they do, and there’s a surprise at the end which I won’t spoil for you in case you want to read it. The book also made me think about my own charm bracelet. Growing up I always wanted a charm bracelet, but since once never materialized I decided to take matters into my own hands and bought my own. My first charm was a dogwood charm from James Avery and it reminds me of growing up in Virginia. Although I lived many other places, Virginia will always have a special place in my heart. Another charm that’s special to me is a abstract-looking circle one with a heart design in it. My husband and I got married in Charleston, South Carolina and before our ceremony we did the usual touristy things like browse the markets and take a horse-drawn carriage tour of the downtown. I loved the beautifully elegant wrought-iron details everywhere in the gates and fences so when I saw this charm from Southern Gates inspired by Charleston’s famous iron gates, and its delicate heart motif inside, I knew it would be a perfect reminder of our trip and our ceremony there. There are a few races I’ve seen that have charms for it, or charms I’ve seen made for it. 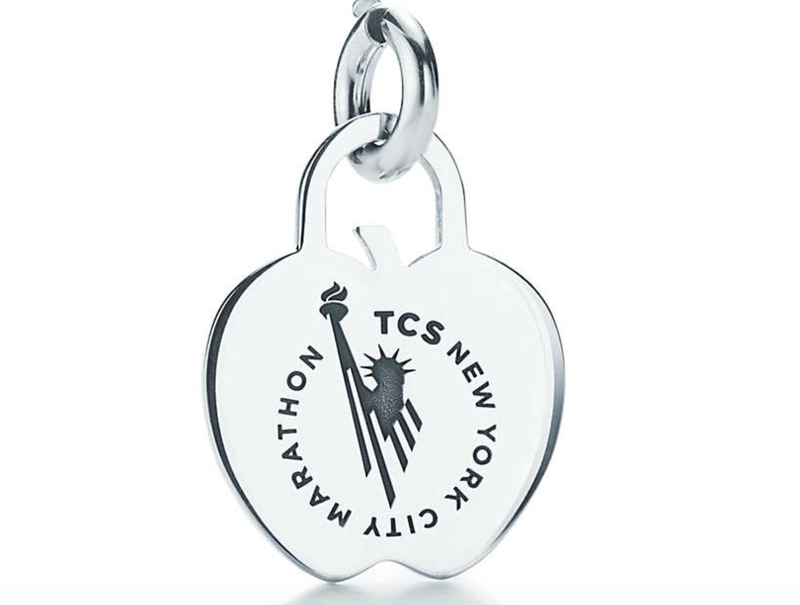 The TCS New York City Marathon has a Tiffany & Co charm for the race, and the Nike Women’s Half Marathon is also known for giving out special Tiffany & Co necklaces at the finish. I didn’t get into NYC this year, and I’ve run the Nike race twice now, once when it was a full marathon and once as a half. I sadly lost the first necklace in moving, but I prefer the second design anyway. I’m also planning on running the Marine Corps Marathon this fall. There’s a pretty charm for it from a company called Nomadés who specializes in military-themed charms. I’m also looking for something to remember my time here in Afghanistan. It’s such a beautiful, rugged country with so much potential. My time here has been some of the most difficult for me, but also the most fulfilling and I will always feel that I carry this place with me. Nomadés makes a unique charm in both bead and dangling form that you can add sand from a special location. It’s called “Salt of the Earth” which I thought was cute. I also found this dainty charm from a company called KrysosJewelry on Etsy. They make many other charms, too as well as states, countries, and even dog breeds in different jewelry forms. It’s so fun looking at these little charms. I now also have a Pandora bracelet which is still just starting out that I can’t wait to add to over the years. Sometimes you just can’t drink enough water. I remember when I first arrived here last summer after passing through Kuwait. Kuwait was hot. Afghanistan was hot. And I was outside most of the day, setting up equipment, tearing down other equipment, ferrying equipment around. I had no trouble getting my 10,000 steps per day in at all.It was also Ramadan when I arrived so to be courteous to the people around us, we couldn’t eat or drink in front of them. All day. I had to hide my water bottles in my cargo pockets or my helmet and duck behind or inside something to drink the water. Even so, I couldn’t ever seem to drink enough for the amount I sweated all day. You can get used to just about anything – helicopters taking off, jets taking off, sleeping in the cold, sleeping on all different surfaces, sweating through your clothes and wearing them again the next day, having no privacy, no time off, seeing the same people everyday and the same people everyday getting on your nerves the same way everyday. And it’s okay. A good attitude makes a huge difference. The best people I’ve worked with have been the ones with a positive attitude. They may not have been the best person in their field or in their job, but being pleasant to deal with has made a big difference in relationship-building and working together. Similarly, it’s hard to find extra motivation to go above and beyond for people who treat other people poorly. It’s the little things that matter most. Mail is incredibly important and a huge morale-booster. Hot showers can make a bad day more bearable. And some of the best meals I’ve had were with my new makeshift family. One man brought in smoke salmon, another brought in a jar of capers, and together we had a really delicious smoked salmon and bagel breakfast with cream cheese, capers, tomatoes, and onions. It was such a special treat and made even more special by how we had to plan ahead to get the items. The only way out is through. It’s frustrating enough to argue with my husband, but it’s even more frustrating when I’m 7,000 miles away and on completely opposite time zones. I can’t do anything about those things. I can’t help bad weather that grounds me for days, I can’t do anything about what’s for chow, and I can’t do anything about the enemy’s actions. But what I can do is grin and bear it. For something like this, the only way out is through. Ashley Horner is having a sale on two of her shorter trainers, Sweet Cakes (booty) and Crux (abs). They’re both 15% off for a short time with the code LUCKY. She has sales occasionally on her full-length programs but this is the first sale I’ve seen for the two supplementary programs since they’re already cheaper than the full-length ones. I already purchased Sweet Cakes and I have been loving the burn I’m getting. Today I learned the most awkward-looking exercise you can do in a gym with only guys in there-the weighted hip thrust. I’m looking forward to adding Crux into the mix next! 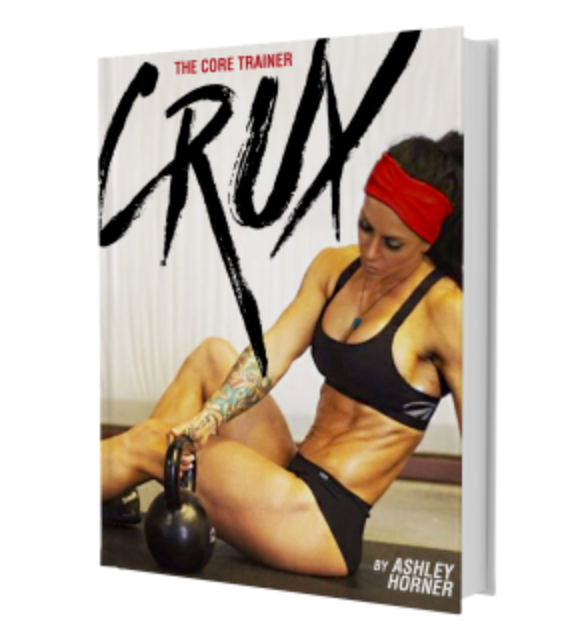 Crux is described as getting “you to focus back to the foundations of your movements”and created to help Ashley get a”defined core, a strong core, not just for aesthetic purposes but also to have that foundation to help with my lifts and quick movements.” Sounds good to me! A strong core is absolutely the foundation and often overlooked. The Washington Post wrote an article the other day about how millenials have adopted running as a lifestyle and how race organizers are adapting to that. I’m technically a millenial, and I like running, so it was a quick and interesting read for me. I can see its points. I’ve run semi-consistently since high school when I began preparing for my first Army Physical Fitness Test for my scholarship. I continued running in college on our cross-country team, and made lots of friends along the way. I transitioned to road races my junior year of college when I first ran the Army Ten-Miler and then to longer distances the summer after I graduated. Running has been a constant for me, and helps me bridge my past to my present. I remember my dad training for marathons and going for long runs. To me, running has just always been something that you do, like brushing your teeth, and eating your dinner before your dessert. I suppose it makes sense. There are more and more people registering for races like the Boston Marathon and the Chicago Marathon. There’s also more people trying out running for fun and for fitness, not necessarily competition. One of the nicest things about running is you’re only against yourself really, and you can track your progress over years. I run less per week than I did before Dopey, but I still consider myself a runner. Whether I run multiple races a year or take a year off from racing and just putter around the city streets, I’m a runner. I’m getting a bit ahead of myself in writing this because I still have several more days before I’m under triple digits for my countdown. I’ve written before how I like to have goals, but I also like things like lists and countdowns and I feel like those three things are all very similar. Goals are measurable and lists are measurable and countdowns are absolutely measurable. Goals may change and lists may get added to, but time will always pass. I used an Excel-based countdown for my last big exercise and at first it seems like time was hardly budging at all and then before I knew it, it was flying by. It’s been the same way out here. This time instead of an Excel countdown, I downloaded a free app called Dream Days that lets you countdown and count up and also lets you have repeating things (like anniversaries or birthdays) or one-time events. I don’t know exactly when I’m going home, so this is a rough approximation. I had a countdown to my R&R and was so sad to delete that one and see it count up after the count down because it meant my time was going by faster than I wanted it to. I’m on the other side now and headed towards the end so it helps, but I will probably add some other things in there next to keep me looking forward to the rest of the year. After redeploying, I also have the Dumbo Double Dare at Disneyland, the Marine Corps Marathon, and the Las Vegas Rock N Roll Marathon to look forward to, as well as my two-week trip through Europe. It’s almost halfway through March and I’m hard at work getting through my fitness program. I work well with rewards so when I saw that Kovey was offering 30% off their swimsuits to celebrate 30,000 followers on Instagram, I thought I’d pick something out to keep myself motivated through my workouts. It reminds me of that old Yoplait commercial where the woman eats yogurt so she can fit into her swim suit when summer comes. It’s a little like that for me, except I’m trying to get stronger and build muscle, not lose weight. 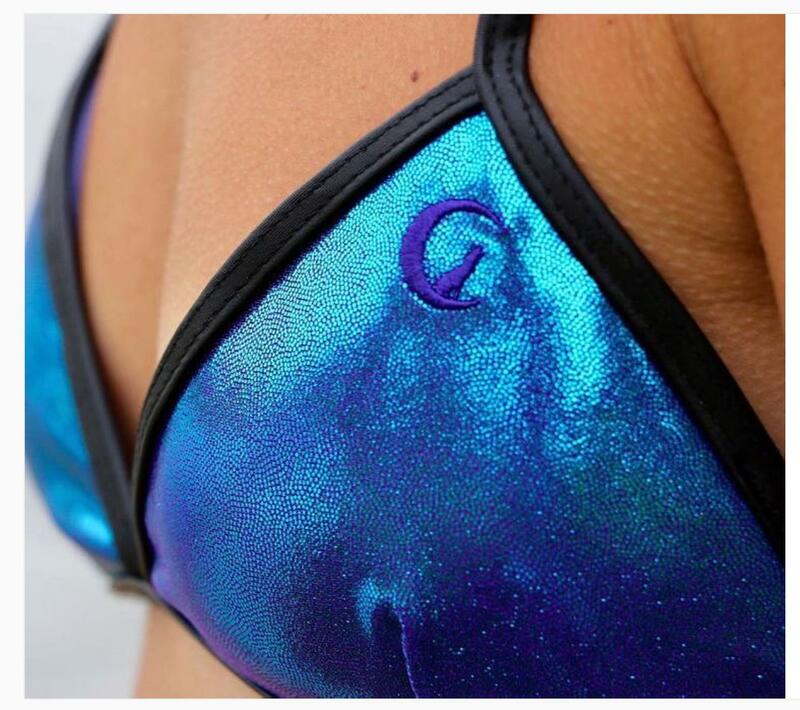 They have the nicest suits and tons of options and right now it’s 30% off everything, including clearance, and free shipping anywhere with the code 30k . I may not be able to wear a swim suit anywhere except inside my room here, but I’m going to hang it by my mirror so I keep myself on track. Yesterday was the drawing for the TCS New York Marathon. I’ve entered once before a few years ago, and I wasn’t chosen then or now. I also entered the lottery for the Tokyo Marathon when I planned on making that my mid-tour leave trip, and again wasn’t selected. I think there’s something good in lotteries because it keeps the field open and everyone has an equal chance to get in, but it can sure be a bummer not to get chosen. I have a pretty solid fall schedule so I’m not as sad as I would have been otherwise, but I would still like to run it someday because there’s a really cute Tiffany & Co. charm. I read this morning that Taylor Force, an American MBA student on a student trip to Israel, was murdered. Last night we had IDF where I was and it was another reminder of how there are people out there who mean to do harm. It’s been very quiet around me lately so I’ve had plenty of time to focus on work, so much so that I’ve lost sight of the bigger picture. I hope Taylor’s family finds peace and that those who seek fear and hatred find no peace. 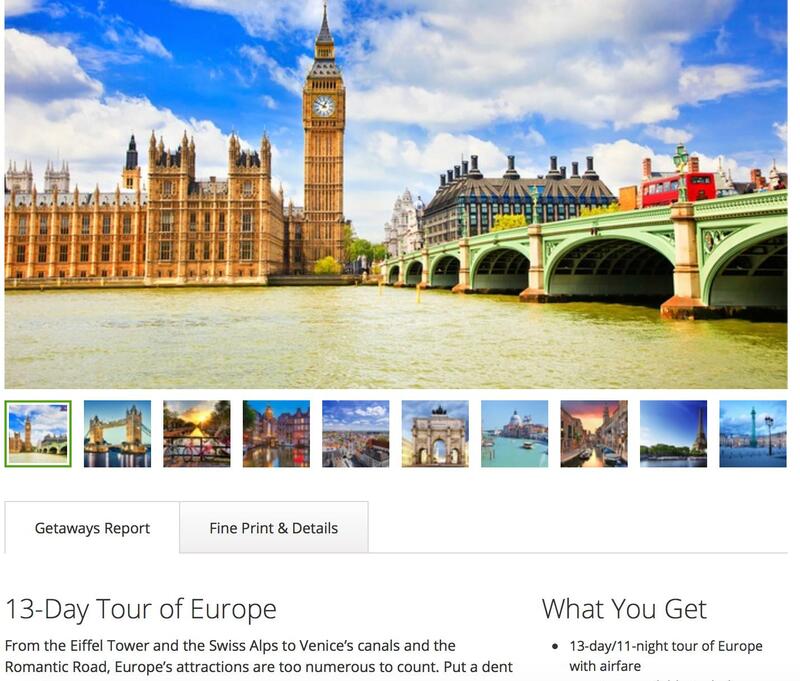 I found a deal on a 13-day tour through Europe with airfare, and some hotels and meals included. 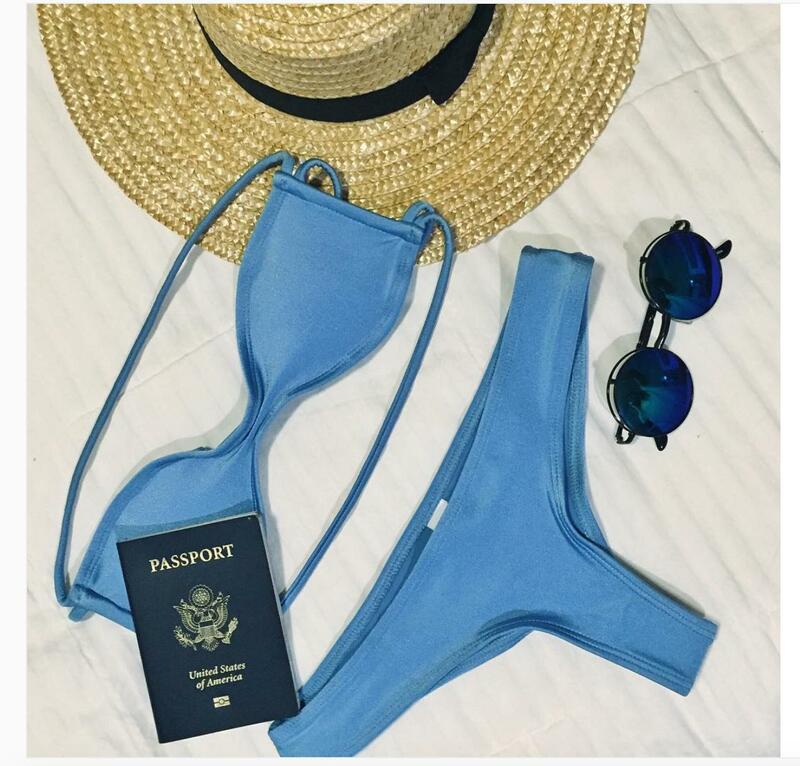 I’ve been daydreaming about traveling and this seemed perfect. I’m really looking forward to putting some new stamps in my passport book and also seeing some of the places I’ve only seen from the air on my way to somewhere else. Plus, I can’t wait to have a pint in London and a stein in Cologne. I saved this book as they were clearing the barracks out and it’s hard to put it down. 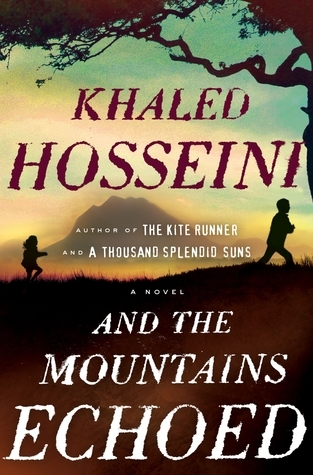 I’ve been a big fan of Hosseini ever since I read and loved A Thousand Splendid Suns. And since I’m here, I can picture the settings even more vividly. Afghanistan is a heartbreakingly beautiful and rugged country and he does a wonderful job of bringing it to life. I am a sucker for pretty prints. 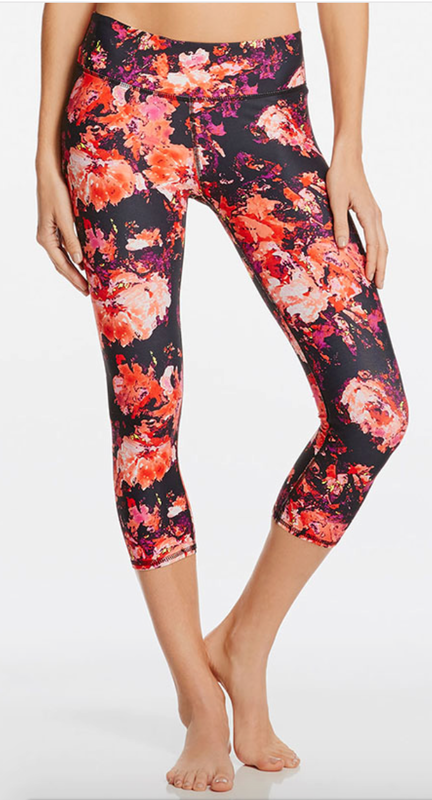 This month Fabletics introduced two new floral prints for their bottoms and I’m in love with them. They’re so spring-like and cheerful. I love my twilight tights from them and I can’t wait until these pretty ones get here. I remember getting homesick once when I was a little girl as we were moving to a new state. I was so desperate to be settled somewhere. I also remember one of my first days as a 2LT at Ft. Lewis where I didn’t know anyone, didn’t have a car, and I felt so far from home and the awful loneliness all around me. Deployment is a little different. For one, I’m older now and a little less emotional (I like to think so anyway). But also I have phones, Internet, and semi-regular mail service. I can even FaceTime sometimes when the network isn’t too busy. All that means it’s taken a while for my homesickness to really set in. The second group of six-month deployers are getting ready to leave soon and I’m still here for a while longer. It’s hard to listen to other people talk about going home to their families when I know I have several more months left here. One of the best ways I’ve found to not focus on the time is to fill it up with other things. Working out is great, new hobbies are also great, or just taking a class is also a great distraction for when the time is crawling out here. I also listen to songs and movies that remind me of home (“North to Alaska” has been on repeat lately) and I’ve been daydreaming about the trips I’m going to take when I get back. February is one of my favorite months because it’s so short, so my second paycheck comes a little sooner than expected, which is great for my budget. We also decided to buy the duplex we’ve been renting for the past couple of years and our offer was accepted! We’ve wanted to get into real estate for a long while and we’ve always wanted to buy a duplex with the idea of living in half and renting the other half. It’s really exciting that something we’ve talked about for years is finally happening and I couldn’t be happier that it’s the adorable one we’ve been living in. I was really thankful for an extra day in February because I’ve been so busy on this project I’ve been working on and I wanted to reward myself with a little shopping. There were so many fun Leap Day sales this year, but I decided to limit myself to some new headbands from Sweaty Bands (love their new botanical series which is both tropical and spring-like), and a couple of new shirts from Raw Threads’ brand new Princess Mantras series. I thrashed my legs pretty hard this morning with Ashley Horner’s Becoming Extraordinary program, so this shirt seemed extra appropriate today (I got the V-neck version because it has sleeves). I’ve also always been a big fan of Belle in Beauty and the Beast (because she has a horse) so this shirt was a natural choice. I really like Raw Threads not only for their fun Disney-inspired designs, but also that their fabric is UPF 50+ so I can know that I’m protecting my skin from the sun. Now that it’s essentially summer here again (what winter?) and I’m outside a lot more I’ve been working on making sure I apply plenty of sunscreen in the morning and touch up throughout the day. It’s so nice to know that my workout clothes are blocking some of those rays so I can worry about other things, like squeezing out those last few reps and how bad I might smell. My big project is almost done so hopefully things will calm down a bit and I can post more. I’m also working to stick to a more reliable workout schedule so I can write more about my experiences with Ashley Horner’s Becoming Extraordinary program.